Following on from the success of the hugely popular, TIPA award winning 27″ SW2700PT monitor designed for photography professionals, BenQ have raised the bar by launching the larger 31.5” SW320 monitor – packed with even more features. The SW320 is designed for photographers that require accurate colour and a large viewing area for editing. 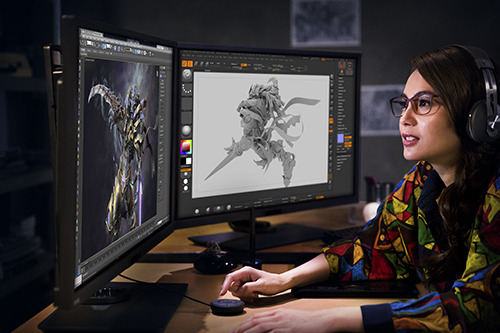 With features such as an included monitor hood, True 10-bit IPS back panel, hardware calibration, 99% Adobe RGB colour space and a 14-Bit 3D LUT, it’s clear that this monitor is designed for image perfection. GamutDuo allows users to view content side-by-side in various colour spaces on one screen. The Hotkey Puck can assign colour spaces to preset buttons and switch between them quickly and conveniently. With an in-built SD card reader and USB 3.0 connectivity, the SW320 is not only aesthetically elegant, it’s also highly practical, allowing users to concentrate on their creativity. The SW320 monitor is priced at £1,245.60 incl. VAT. This entry was posted in BenQ, Color Confidence Range, General News, Photography and tagged BenQ, Monitor, Photography on December 6, 2016 by Color Confidence.